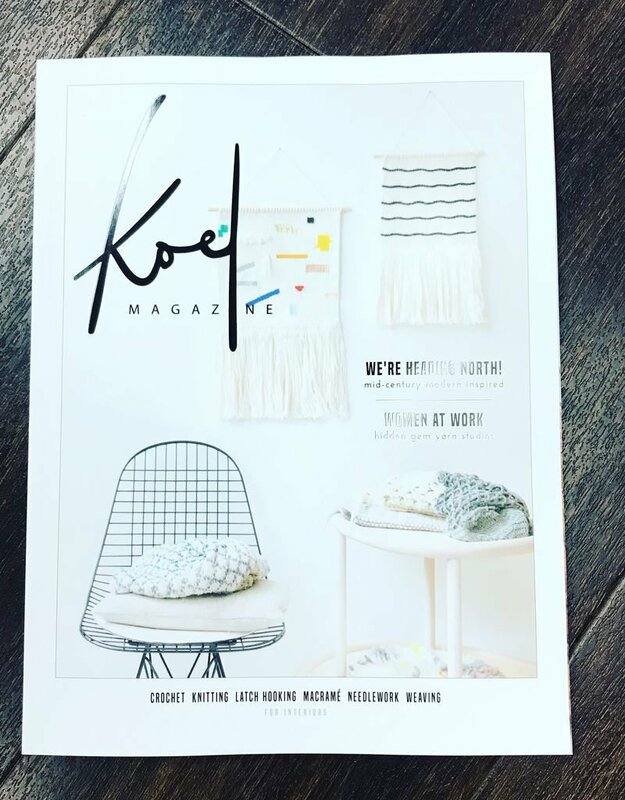 The Scandinavian Issue The KOEL team heads north for our summer issue. We bring you a fusion of Scandinavian and Asian influences as we reminisce good memories of our time in Singapore, while celebrating the Nordic summer in our new studio. 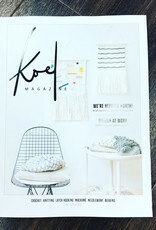 In Issue 3, we pay tribute to the beauty of Danish furniture and it’s perfect fit with yarn crafting, go monochrome in some of our designs and collaborate with some of the most talented fiber artists worldwide like Alise Anderson, Veselka Bukan and Mrs. Novo to bring you new yarn trends and ideas for the summer. Expect a global tour of our favourite yarn crafters’ studios and many more exciting new stories for you to discover. At least 160 pages of inspiration of the following yarn crafts: • Crochet • Knitting • Latch Hooking • Macramé • Needlework • Weaving Including ready-to-make patterns PLUS • Interviews with crafters • Food recipes • Yarn & tools reviews • Yarn crafting studios worldwide in different cities 160 pages, 21 × 27.5 cm, perfect bound, printed by Offset Printing in full color on 100 gsm PEFC-Certified matt paper with a 240 gsm granulated UV varnish cover. Printed in the Netherlands.